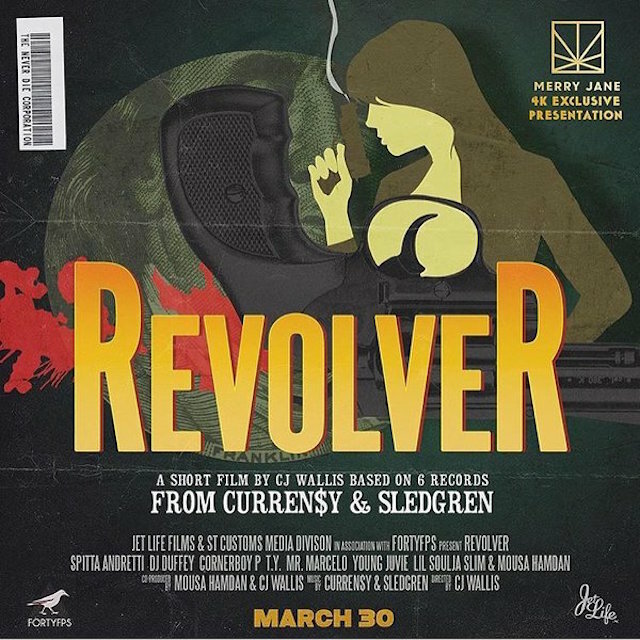 Curren$y and Sledgren have released their Revolver EP and short film today (March 30). The music is interwoven into a short film written and directed by longtime Curren$y collaborator CJ Wallis. Revolver features Curren$y rapping on six new track from Taylor Gang producer Sledgren. The film co-stars JetLife members DJ Duffey, Cornerboy P, Mr Marcelo and Mousa Hamdan, as well as T.Y., Young Juvie & Lil Soulja Slim. The Revolver cover art and tracklist, with the time at which they appear in the film, are as follows, as is the film. 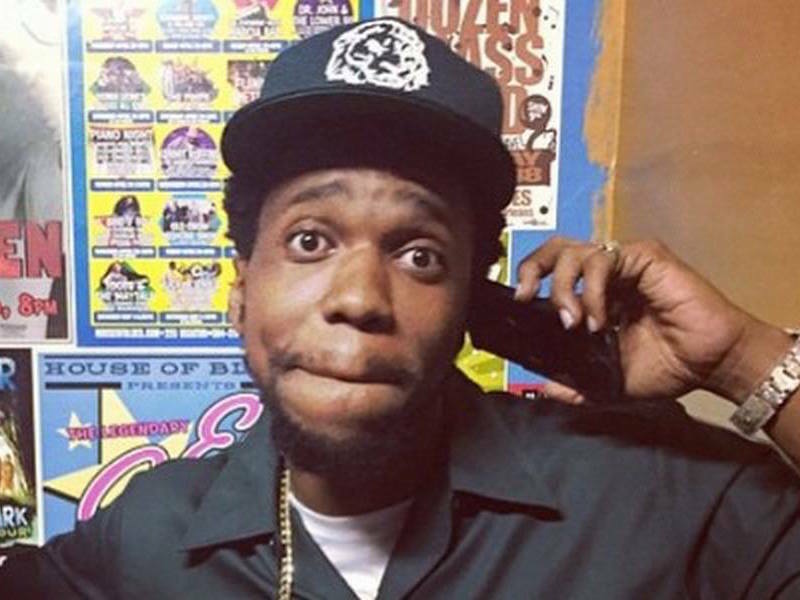 Curren$y has announced his forthcoming Revolver project with producer Sledgren. “6 bullets from Andretti x Sledgren so u already know…… Get ready. #revolver thank @fortyfps for the visual assault soon to come,” Curren$y wrote on Instagram. 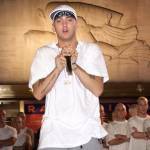 It is unclear whether the project is an album or a film. The post tags CJ Wallis, former hockey goalie and now owner of Forty FPS film company. Sledgren has worked with Curren$y, Fat Trel and Wiz Khalifa. Curren$y released the third installment of his Pilot Talk series in April. He is also working on a project with Wiz Khalifa. 6 bullets from Andretti x Sledgren so u already know…… Get ready. #revolver thank @fortyfps for the visual assault soon to come.